There has been a lot of recent news coverage about a study demonstrating that young infants who display certain problems may be presenting with the earliest sign of autism. Not the first such research, not the last. Three months prior, an investigation into the number of folds in the placenta correlated with risk of ASD. Two years previous, there was an article about early MRI findings. What is medical science doing with this information? The state-of-the-art seems to be stuck at the corner of whether there is an epidemic and not much can really be done. Given the well-accepted view that ASD is a mostly genetic disorder, only the traditional therapies are believed to demonstrate value. There is a disconnect when the question comes to, what treatments are out there that might be working, and how can they be evaluated? Whenever a new report surfaces describing such information, how should clinicians respond? The ASD diagnosis depends upon considering the core domains of ‘speech/language’ and ‘repetitive movements’; signs and symptoms that, in infancy, are as-yet undeveloped behaviors. The loss of eye tracking, which was the finding in the study, could be associated with losing the third global delay, socialization, and might represent a problem with communication, as well. With such knowledge, the doctor might order blood work to scrutinize a weakened immune system, anemia or earlier nutritional deficiencies, such as vitamin D. Comorbid conditions, such as eczema or asthma, should take on a more serious investigation, perhaps with more complicated treatment options. A heightened index of suspicion might lead to the provision of interventions, such as OT and PT, to address low tone, or feeding. With newer information, parents might be more likely to listen to advice about optimal nutrition, limited antibiotic use and environmental toxins. Once early risk is assessed, additional studies involving children at risk should be undertaken. A comparison of projected vs. observed risk could answer questions about all sorts of compounding factors; from challenging the immune response, to dietary alterations, to G-I disturbances, to CNS function and behaviors. An exciting part of the research about eye tracking appeared in the conclusion, “…the observation…offers a promising opportunity for early intervention…” The explanation that followed was complicated. Thanks to the authors, though, for offering hope for specific treatment. This represents valuable research into other interventions that could prevent onset or severity of ASD. 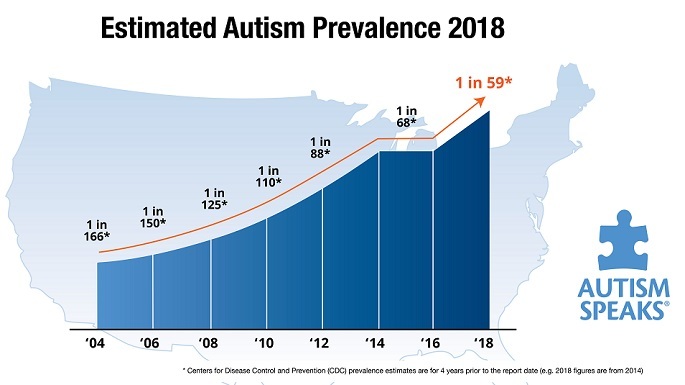 For now, this week’s news should provide increased incentive for doctors to take early signs of autism and risk more seriously. Future research into early accurate diagnosis of childhood developmental abnormalities should address parents’ concerns and provide professionals with more effective tools. This entry was posted on Saturday, November 9th, 2013 at 11:16 am	and is filed under >ALL<, Alternative and Complementary Medicine for ASD, Autism Therapies, Diets, Earliest Red Flags, News-Maybe-Worthy, Patient experiences, Reversing autism, Speech and Language. You can follow any responses to this entry through the RSS 2.0 feed. You can leave a response, or trackback from your own site.